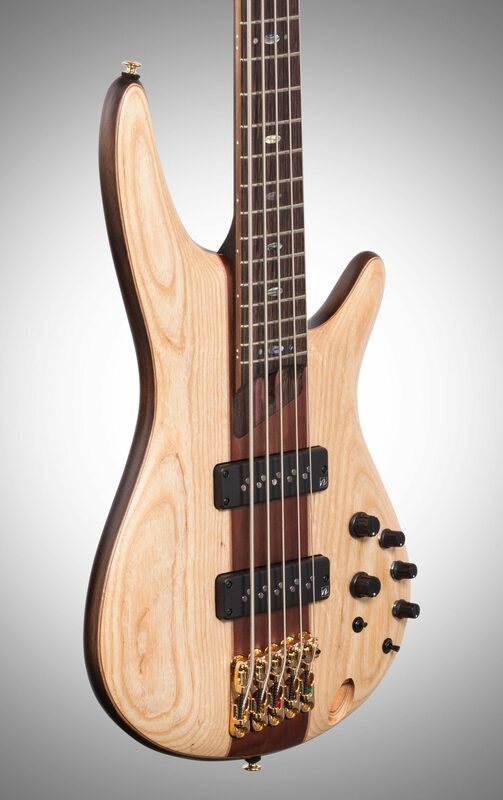 Professional players and gear reviewers alike have been singing the praises of the SR Premium series since its introduction. 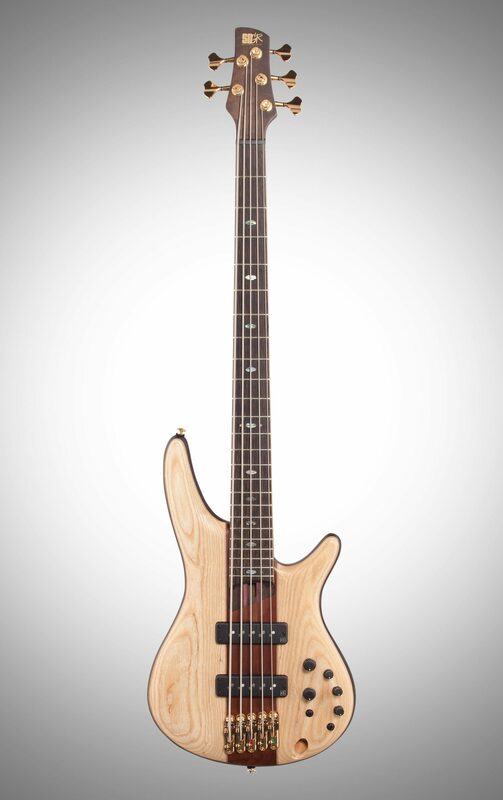 Crafted by the Ibanez Premium luthiers, the SR1305 shares many of the high-end appointments of the much-respected Prestige line. 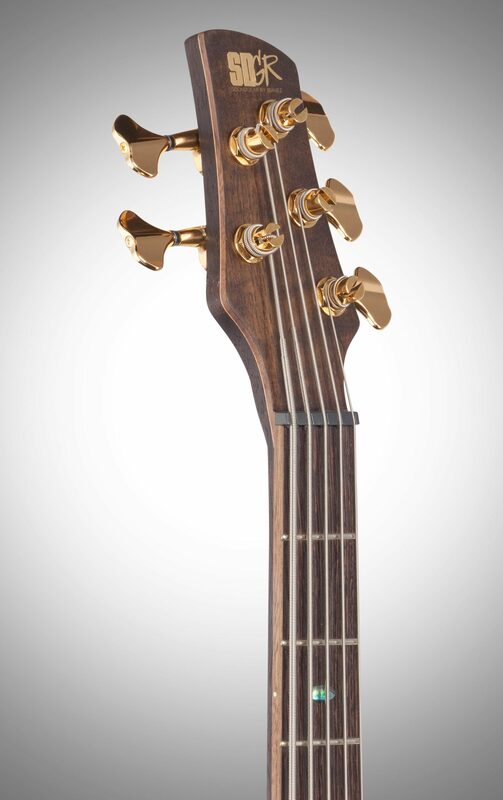 This extraordinary attention to detail manifests itself in features like super-smooth hand-crimped frets, and The Mono-rail 5S Bridge enables a wider intonation adjustment range, and each isolated saddle is securely locked to the body for maximum vibration transfer with minimal sympathetic string interference. The principal feature of the new bridge is the saddles can be adjusted for various string spacing. 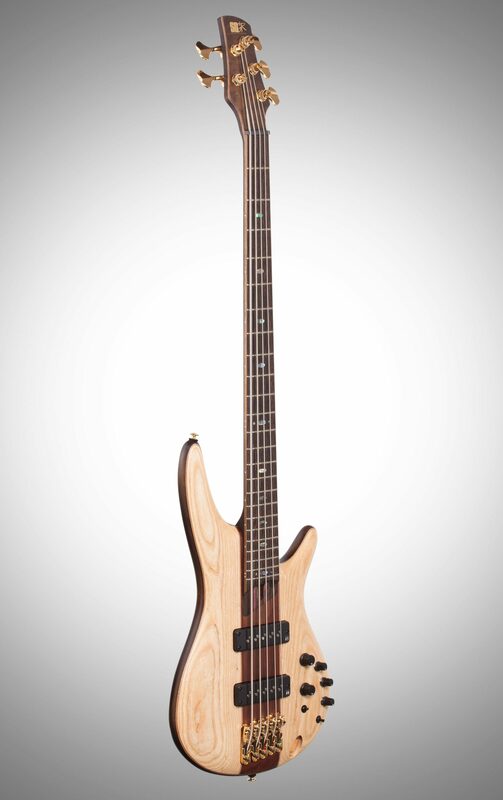 The bridge was developed in an effort to meet the needs of various players who enjoy different string spacing. The saddles can be easily adjusted to widen or tighten the string spacing by + / -1.5mm. 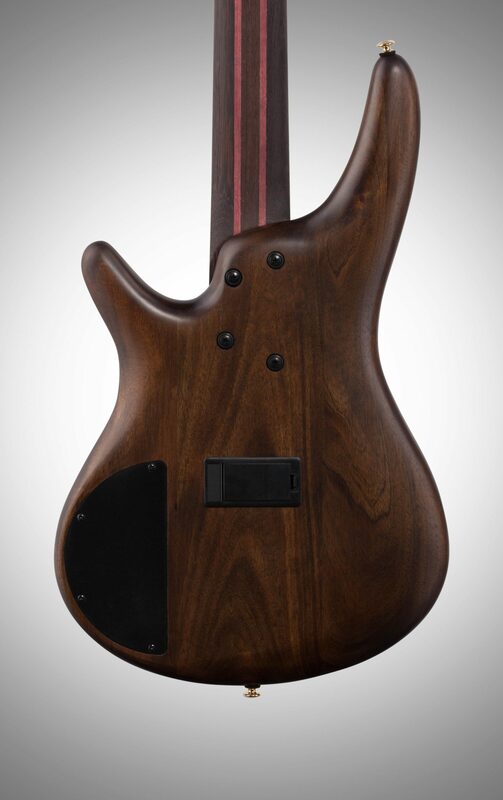 The SR1305's African Mahogany body combined with an elegant Ash and Walnut top creates a solid, well-balanced tone. 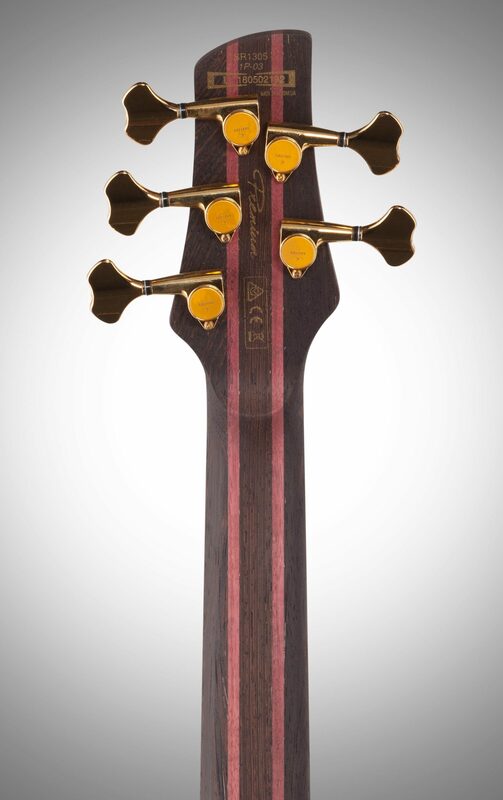 The 5-piece Atlas 5 neck consists of alternating layers of Panga Panga and Purpleheart, providing a striking visual detail, not to mention neck stability for years to come. 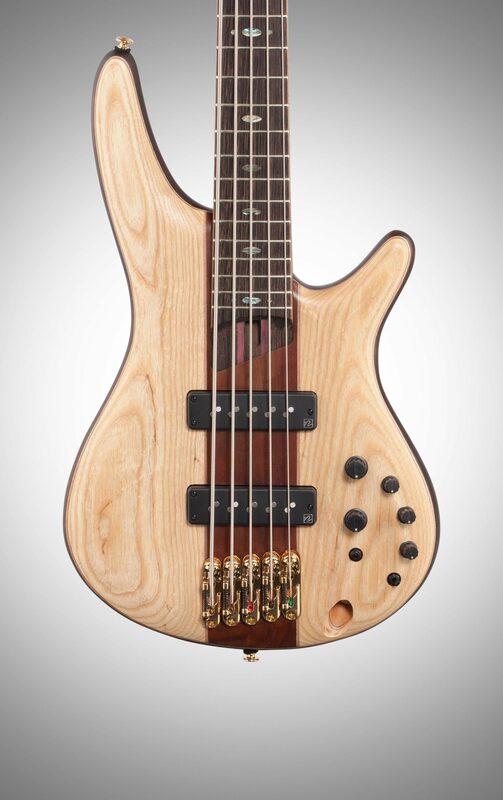 In spite of this impressive hit list of exotic materials, this Premium bass stays true to the original SR concept: being surprisingly light in weight -- a noticeable contrast to the instrument's thick sonic character. 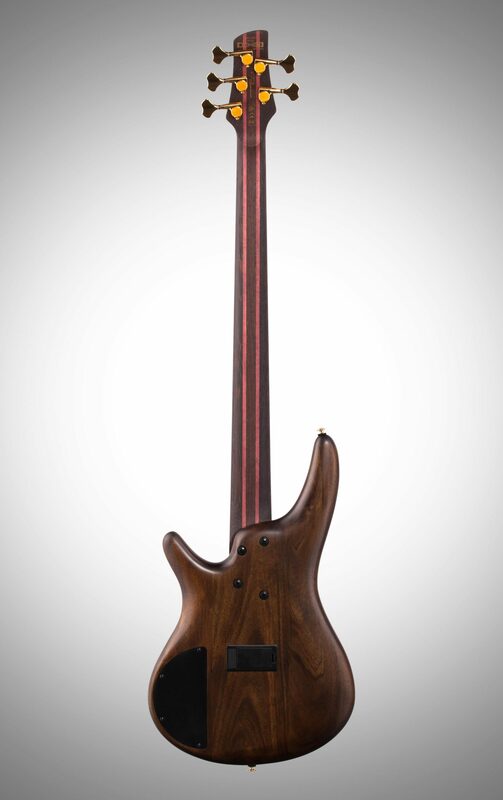 That big, bold, tonal personality is due largely to a pair of Nordstrand Big Single pickups -- the kind well acquainted with boutique instruments. No matter what musical texture is desired, the Ibanez Custom 3-Band EQ, with EQ bypass and mid-frequency switch, will get there fast.